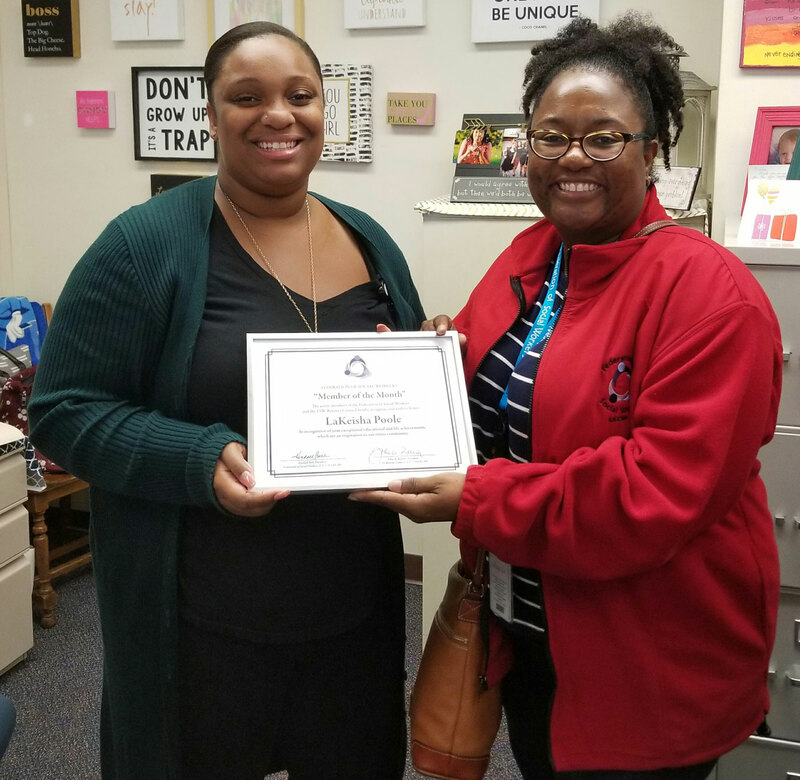 LaKeisha Poole is the Federation of Social Workers Member of the Month for October! "LaKeisha Poole has been the caseworker for our two foster children for 2 years. She has been the best advocate that she can be for the children and for the biological parents that she works with also. 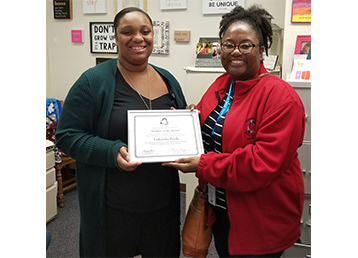 LaKeisha does a great job balancing the difficulties of counseling and helping the biological parents - giving them all opportunities to succeed. Meanwhile she makes sure that the children that are in our care have the best chance to thrive as well. She consistently is available and responsive to all of our questions and offers support and encouragement when we need it. Thank you LaKeisha!" The Federation is proud to recognize LaKeisha Poole for the exceptional work that she is doing in our community. Congratulations on a job well done! Funding to support the FSW "Member of the Month" program is provided by the Federation's Retiree Council, Modica Law Firm and Edge Advertising Group. If you would like to nominate a FSW Member who has done exceptional volunteer work or community service to be our "Member of the Month", please complete the simple online nomination form and submit it.